Everything is shrinking – from training time and training budgets to the attention span of learners. The single answer to all these problems seems to be microlearning – short learning nuggets that are designed and delivered to meet a specific learning outcome. Microlearning is delivered in rich media formats, learner-centric, and available on multiple devices. The reasons for it becoming a popular option for deploying corporate training are the increased adoption of mobile learning which is suitable for microlearning, and the ease with which these learning nuggets can be developed, deployed, and updated. Microlearning promises higher course completion rates, owing to the impact it creates on learning (small nuggets, retention, reinforcement) and application on the job (just-in-time learning and performance support). Their short duration suits diminishing attention spans and meets the millennial generation’s need for short bursts of information that do not take too much of their time. Is microlearning suited to your training needs? The benefits sound good, but how do you know whether microlearning is suitable for your training needs? When will it be an appropriate solution? To find the answer, you need to know what kind of content will be suitable for microlearning. Ideally, content that can be broken into small bytes is ideal to design as microlearning. The content should lend itself for transformation into targeted, actionable content. Incidentally, microlearning may not be suitable for every type of content. It may not work for new and complicated material or abstract and complex content. It is more suited for content such as policy changes, fixing software bugs, or as supplementary support for previous learning. When you have long-term learning goals, microlearning alone may not suit your needs because these modules may end up as content fragments which do not connect. Recognize if your learners can synthesize content from microlearning modules well enough to build appropriate mental models. Also, ensure your microlearning solution includes a variety of formats, so that your learners are comfortable using them. When looking at the learning outcomes, assess whether it is specific and not too complex and if the learning objectives can be met with microlearning. You will have to consider your learners’ needs as well. While microlearning suits learners across all generations, learners belonging to the younger generation will find it easy to access these microlearning assets on the digital devices they access frequently. The LMS you use is also a deciding factor. The success of microlearning depends on how easily it is accessible to learners. A learner must quickly find what he needs and use it immediately to enhance his work. They would not like it if it takes time and effort to access these microlearning assets. So your LMS should be easily searchable and provide tagging facilities so that learners can immediately access what they need. Analyze your training needs to determine if microlearning will work for you. 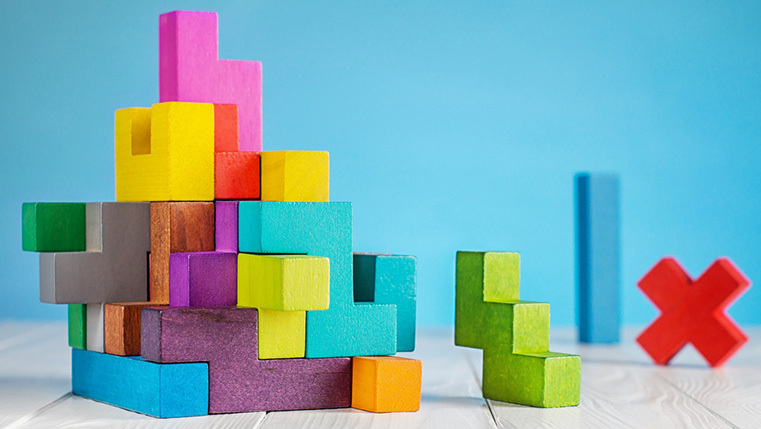 How far microlearning will meet your needs will be easy to find out if you do an analysis at multiple stages of course development – training needs analysis (TNA), planning, and the development of the course and its deployment. Microlearning can fit in different stages of the learning stage. Basically, you need to have a checklist for each stage to check if microlearning will be a suitable fit. Before training, you can use microlearning to inform your employees about what they can expect from the course. This can be in the form of videos or infographics. This will motivate employees to take up the course and engage them before the actual training begins. During training, microlearning can be used to introduce a behavior that must be changed or to introduce and teach new skills. It can also be used as part of a blended learning approach to reiterate what has been learned. This can be done through online nuggets, videos, podcasts, and aminations. Post-training, microlearning is the ideal solution when you need to reinforce what has been learned. Microlearning modules can serve as refresher courses and also act as reference materials that learners can access. Microlearning works well for assessments too. In pre-training assessments, microlearning can be used to test learners’ knowledge before they actually begin the course. Post-training, microlearning can assess how much knowledge learners have actually gained. This can be through quiz snippets and mini games. Coming to the design and development, you should first decide on content based on performance objectives and then select the format. Also consider if you have a development process in place to ensure microlearning can be quickly developed or updated. Before you decide to adopt microlearning for your training needs, you should first assess whether the content is suitable for mircrolearning. Know if your learners will benefit from microlearning and be able to make the best use of it. You should ensure that your LMS supports microlearning so that learners get a positive learning experience. Finally, you will have to assess how far microlearning will support your learning outcomes. The answers to these questions will help you decide whether microlearning is the appropriate solution.